A Unique Wild Berry Experience! 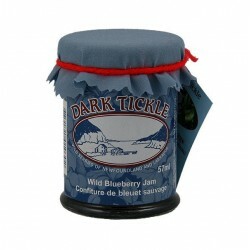 The Dark Tickle Company is located in St. Lunaire - Griquet, on the Great Northern Peninsula in the province of Newfoundland and Labrador, Canada. We manufacture jams, sauces, vinegars, teas, drinks and chocolates from unique wild berries from Newfoundland and Labrador. These berries, picked by hand, are carefully processed without additives resulting in a quality product that is both distinctive and delicious. Visitors can watch the transformation of wild berries into our various products through our windowed production area. Learn as they are interpreted on our boardwalk. 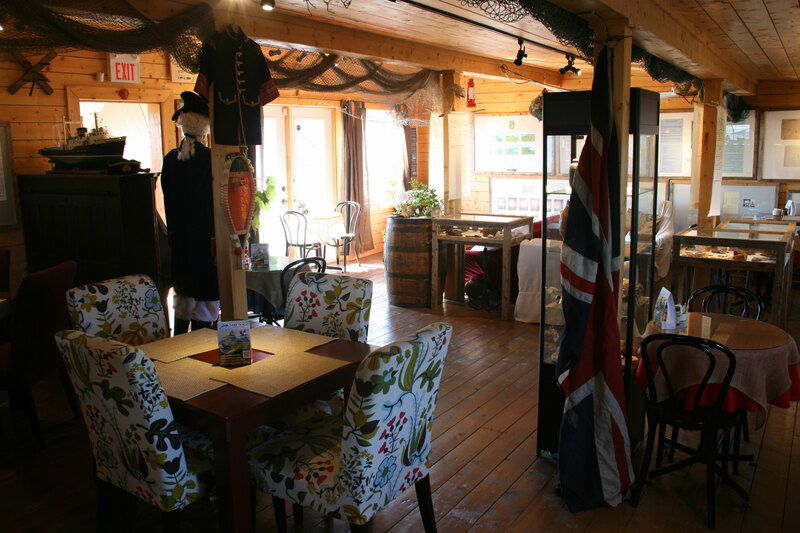 We also have one of Newfoundland's leading art & gift boutiques. 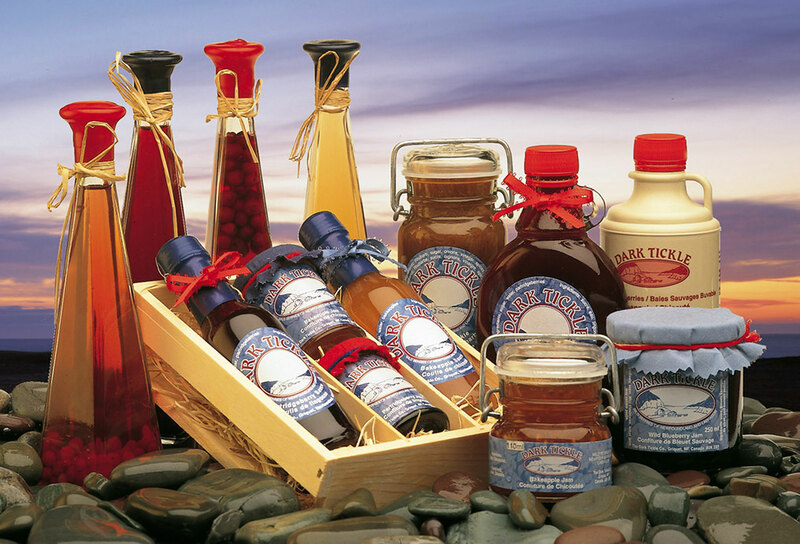 Shop our online store for great Newfoundland and Labrador gifts! 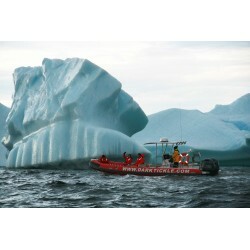 Dark Tickle Expeditions - Icebergs, whales, dolphin, & seabirds! An innovative interpretation program including components above and below water. 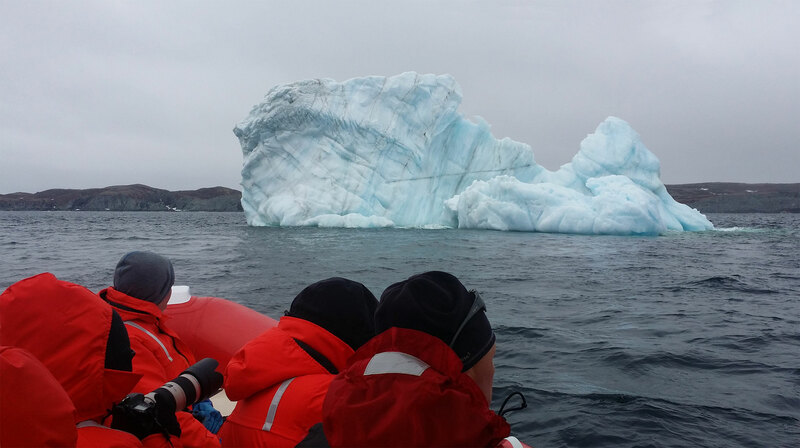 The tip of the Northern Peninsula is one of the best places to see icebergs on the planet. Come aboard as we get you up-close and personal! See majestic fin, minke, humpback, orca, and dolphin frolic off our shores. Eagles, hawks, gannets, murre, kittwakes, and a plethora of seagulls soar overhead. Utilizing a remotely operated underwater vehicle (ROV) explore the flora, fauna, and historical elements of the underwater realm! Climb onboard our 28 foot offshore RHIB (rigid hulled inflatable boat) for an experience of a lifetime! Café Nymphe is an historically-themed bistro housing The Granchain Exhibit; a journey through a unique part of world history, the adventure and peril of the French migratory fishery along Newfoundland’s “Petit Nord”. Bask in our cozy atmosphere, while perusing the interpretive panels, artifacts and multi-media. Great coffee, a variety of teas, soup, sandwiches and daily specials! Proud member of the Francophone Heritage, Cultural and Tourism Corridor. Services en français sur demande.